The last overwintered UK cabbages were delivered this week. We can pretty much say that marks the start of this year’s ‘hungry gap’. The ‘hungry gap’ is the hardest time of year for UK farmers. It comes at different times each year and tends to last a couple of months, usually over April, May and early June. It is the time after the winter crops have ended, but before the new season’s plantings are ready to harvest. That said, new crops are starting to trickle through in the form of cucumbers from Humber Growers in Hull and true spinach in bags from Duncan Gielty in Ormskirk (Lancs). 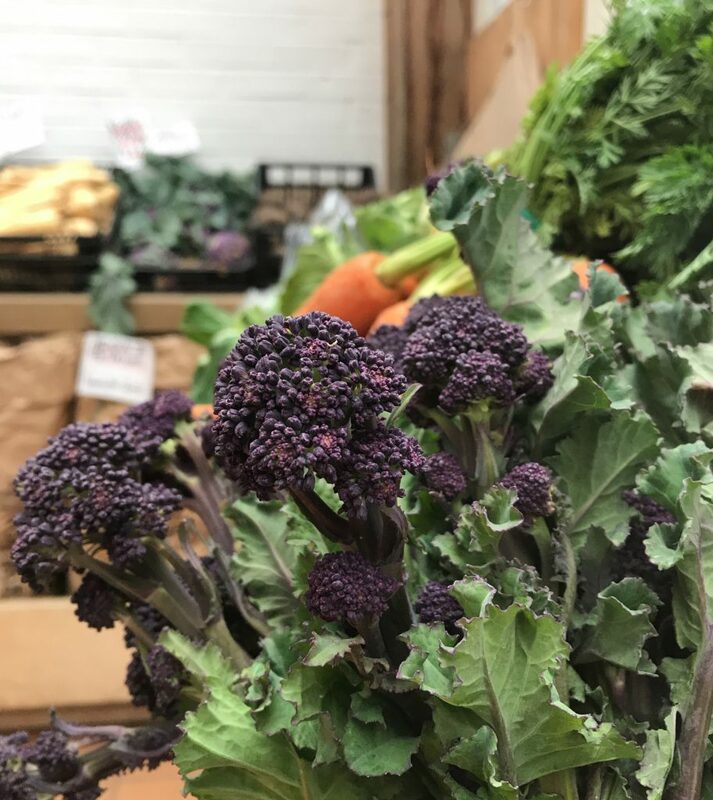 UK Purple sprouting broccoli is the one crop that is thriving right now. Both supplies from Francis Sampson in Cornwall and Organic Pantry in Yorkshire are stunning. We tried some raw when it came in and were surprised how sweet it was…now imagine it stir-fried!